This graceful arrangement features a collection of white and green flowers. 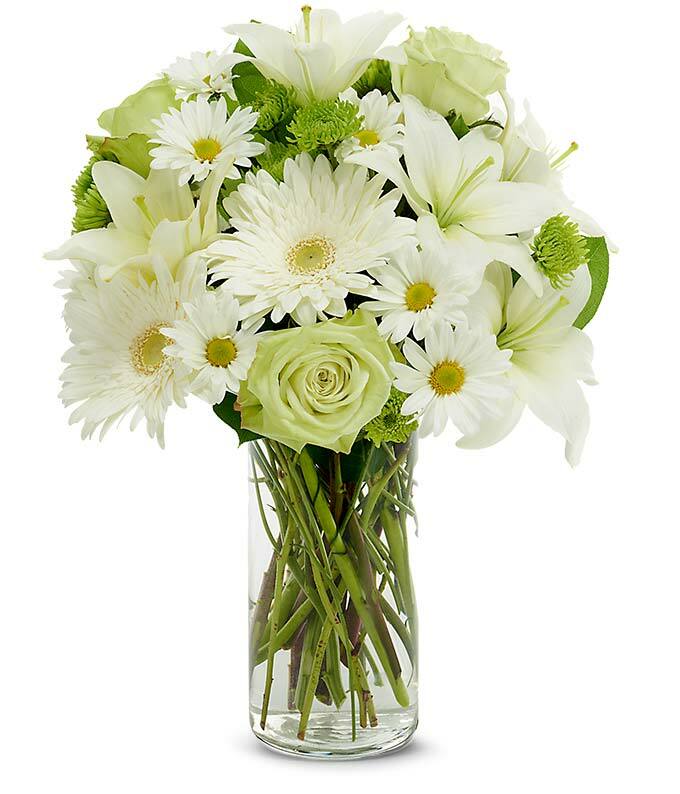 Delivered in a keepsake glass vase, the Peaceful Wishes bouquet features white lilies, white daisies and green roses. Measures 17"H by 12"L.